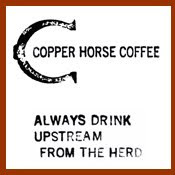 It's still a rare find these days to see coffee roasters focus exclusively on coffees that are environmentally and/or socially responsible. But slowly enough it seems, such practices are becoming more and more common. 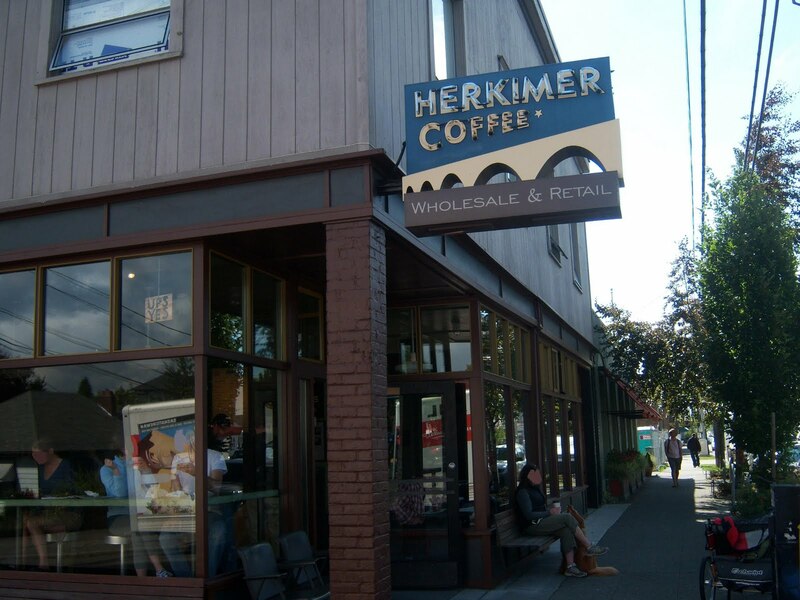 One Seattle coffee operation that seems to hold a healthy outlook on their products is Herkimer Coffee. I had caught wind of them due to their reputation for serving quality beans but upon a little more investigation, I was impressed to find their aims for quality extend into the ethical arena (organic, fair trade, etc). I paid my visit to Herkimer's Phinney Ridge location one lovely weekend morning when the streets were flurried with activity and their shop full of patrons. The entire cafe has a lovely wood construction that makes it seem rugged yet dapper, not to mention the splendid accompaniment of gorgeous lighting, complimentary decor (especially the animal art) and extensive seating (both inside and out). Of their coffee, I sampled their Colombian via drip and an espresso (which utilizes their espresso blend). The filtered coffee marched in a honey-sweet, grassy coffee with a nice earthiness, a little bright Belgian ale, some bourbon chicken and a subtle darkness that did not hinder the other flavors, but shadowed them well. The espresso espoused bitter cocoa, lemon, glazed doughnut and some dry-roasted peanut all rolled in a well-pulled short shot with robust crema. I did not note the tea. The glory of Herkimer proved all it was foretold to be. I tip my hat to their tasty products produced responsibly. When nearby, go Herkimer. It's true that it is a rare find these days that coffee roasters choose organic coffee beans to serve good quality coffee. There's this group of coffee roasters named Grounds for Change that roasts organic fair trade coffee beans only. It is said to grow in shaded conditions. 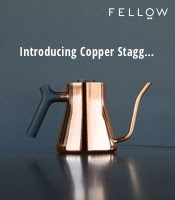 It would be nice that the other coffee roasters would do the same thing also. I'm not usually interested in coffee shops with a lot of seating. I am a huge fan of the small intimate coffee shop setting. But this sounds like a neat place. And I agree with Kopi--very rare to find people who use organic coffee beans. Nice to see it being done a bit here and there, though. I just visited that Herkimer shop last week while I was visiting Seattle for a weekend. The coffee was good and its great to know now that it was ethically sourced!